The male and female riders of Steylaerts 777 had a successful weekend in Tabor, CZ and Hamme, BE with two wins and important podium placings. Team Steylaerts 777 experienced a very successful weekend: On Saturday, Annemarie Worst and Alice Maria Arzuffi rode to second and third place in the 4th World Cup race of the season in Tabor, CZ. 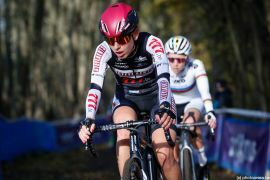 On Sunday Timo Kelich won the U23 race and Annemarie Worst won the Women’s Elite competition at the DVV trophy in Hamme, Belgium. 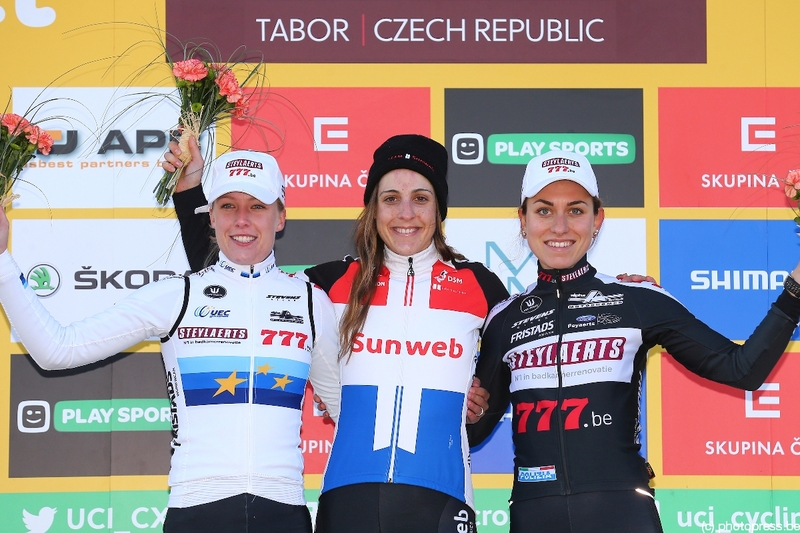 In Tabor Annemarie Worst rode the complete race in front, in the later part accompanied by her team mate and fellow Super Prestige rider Maria Arzuffi. 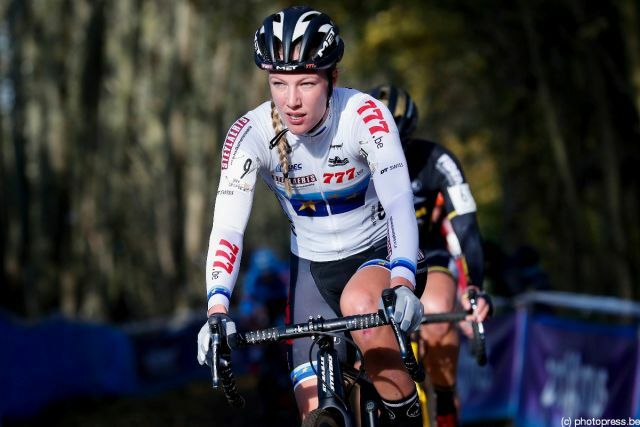 Both entered the final lap together with Lucinda Brand and Sanne Cant – but without hearing the bell announcing the final lap and therefore assuming there was another lap to go. This way Lucinda Brand could jump ahead by an intermediate sprint and keep the lead until the finish. Annemarie Worst after the race: “I simply did not hear the bell.” Alice Maria Arzuffi and many other competitors confirmed this. 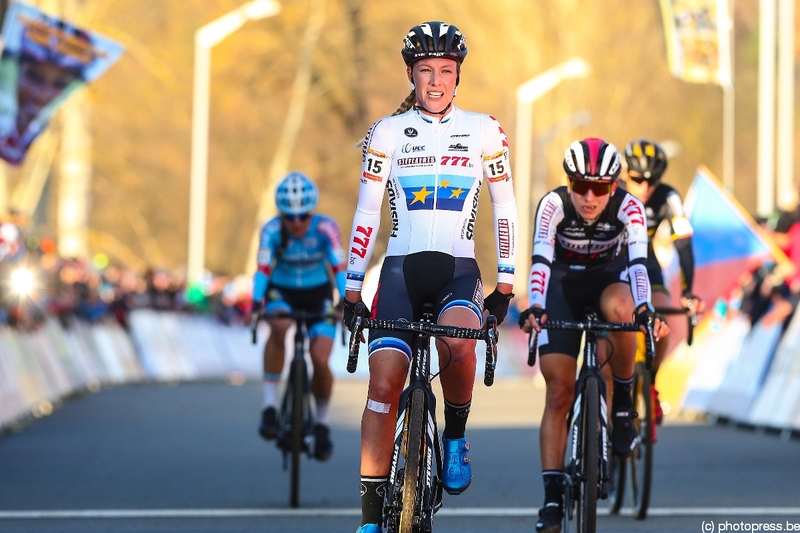 The European Champ continued: “So I was about to wait until what I thought was the final lap to save my power until the very end, but suddenly it was all over.” She was accordingly bewildered at the finish. Despite the confusion and the missed chances Arzuffi though was pleased with her third place. Sanne Cant, another STEVENS Super Prestige rider, finished sixth, after having gotten stuck on an icy climb. In the Men’s race Mathieu van der Poel wins in superior fashion ahead of Michael Vanthourenhout and Lars van der Haar. Wout van Aert comes in seventh. 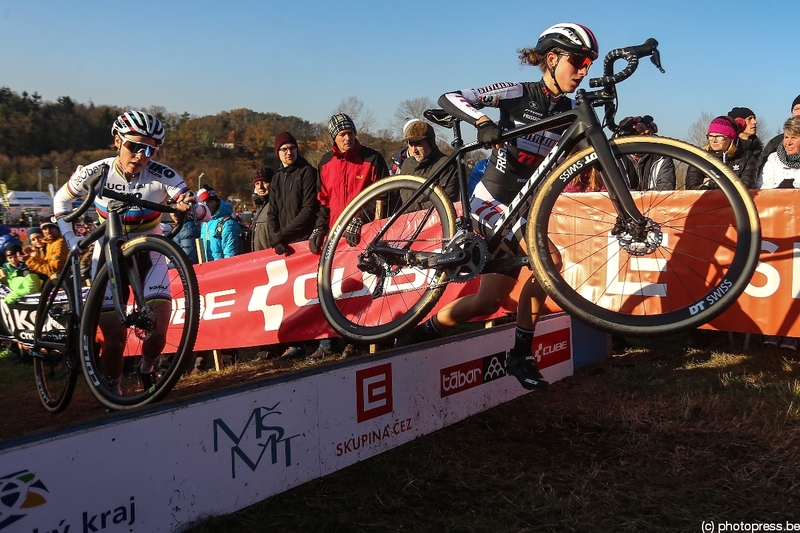 Also riding a STEVENS Super Prestige, Tim Merlier of team Crélan-Charles finishes 18th and Gianni Vermeersch von Steylaerts 777 after a vigorous chase from very far behind comes in 20th. Tom Lindner gained his best result in the U19 category so far. Thanks to a strong performance he wins third place ahead of Jakub Toupalik from the Czech Republic. 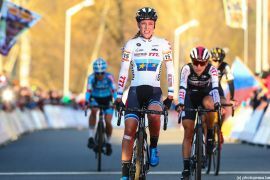 Only one day later in the women’s race everything was alright about the bell and Annemarie Worst was well prepared for the sprint against her team mate Alice Maria Arzuffi and Sanne Cant. 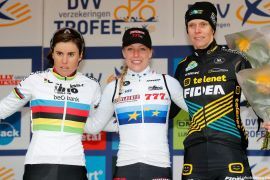 Arzuffi began sprinting, yet a little too early, and was eventually passed by Worst, Cant und Ellen van Loy. 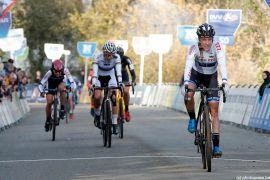 Before Arzuffi had escaped on a solo break-away and which kept the pace high and the race exciting until the end. 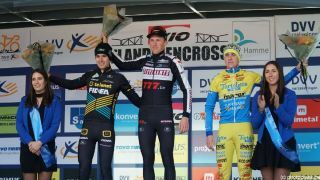 In the Men’s Elite Gianni Vermeersch was in front during the whole race, yet was defeated in the final sprint and ended up in 4th place. In the U23race Timo Kielich had to make a decision: His was well positioned in the lead group when his shoe suffered a defect. Instead of stopping at the tech zone, he went for an intermediate sprint to open a gap the competition was not able to close – good choice! 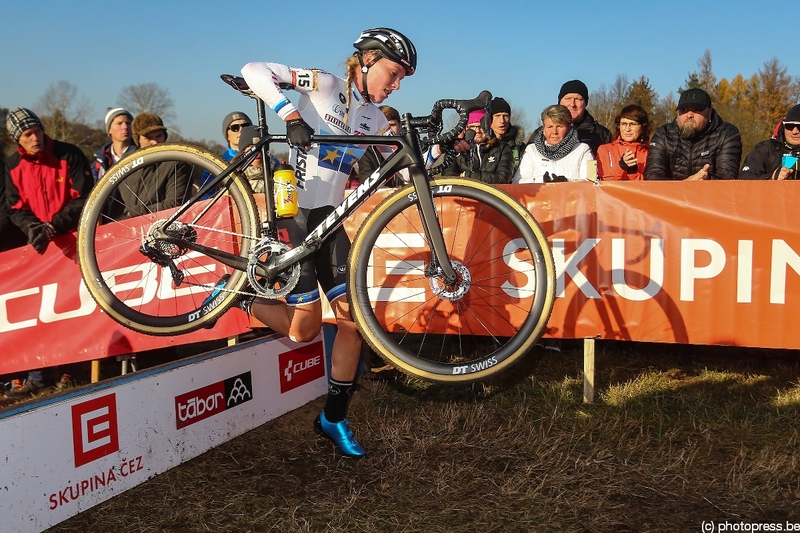 “I’m so happy that it worked out today”, said the Belgian U23 Cross Country Champion. In addition Gert Smets also finishes in the top ten in 9th place – to round off a satisfactory weekend for Steylaerts 777.